Greek label Evi Grintela takes classic menswear shirting and transforms it into feminine silhouettes for all occasions. 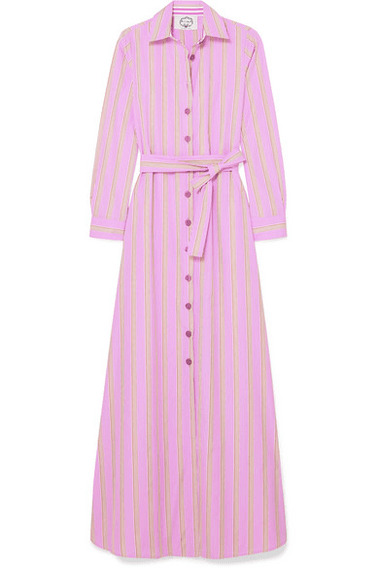 Updated in candy hues, this 'Valerie' style is cut from striped cotton-poplin and has ties to define your waist. Wear it with a statement pair of sandals.